A China Student Visa is also called X Visa. It is needed if you are not a Chinese citizen and you plan to go to China for your studies or intern practice for a period of MORE THAN six months. Don't confuse the Chinese student X visa with the U.S. student F-1 visa. If you have a short-term study or intern practice that lasts no more than six months, you don't appy for a student X visa; instead, you need to apply for a Chinese Business Visa or F Visa. Yes, business visa. Your passport must have at least a remaining time of six months. Your passport must have at least one blank visa page in it. A copy of the information page of your valid passport. One of your recent 2x2 square inch photo. Both black & white and color are fine. You need to glue or staple it on the designated place on your application form. The original AND photocopy of the approved Foreign Student Visa Application Form (JW201 or JW202) issued by a relevant Chinese government unit. The admission notice from the Chinese school you are going to study at. You need to write down your Chinese name on the application form. Prepare your original Chinese passport to submit. Prepare a photocopy of your information page on the passport. If your former citizenship was Chinese, and you've been a citizen of another country, and the passport you're holding now is not the first passport of your current country, then you need to submit your older passport or a photocopy of the most recent Chinese visa on it. If you are a foreigner with a valid visa and a legal status in another country, you may apply for Chinese student X visa in the Chinese Embassy in that country. Be prepared to be asked to provide the original and photocopy of the legal status document. For example, if you are a legal foreigner in the U.S, you may be asked for your US Green Card, Work Permit, I-20 Form, valid US Visa or other additional documents. 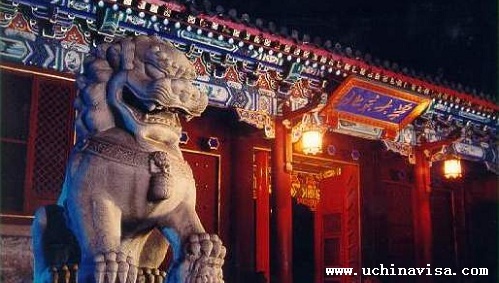 The China visa officer will make a decision on whether to issue the China student visa case by case. How to apply, Processing Time, Visa fees and Additional Information.